Tony Lau (Dacascos) is a gangster trying to convince the higher-ups in his organization to start running drugs, but they say no. Coolio (Coolio) (no, that’s not a mistake; in what has to be the most perfect casting of all time, Coolio just happens to play a guy named Coolio) is a gangsta from South Central L.A. who is trying to make inroads into the Hong Kong criminal underworld. So naturally Tony and Coolio gravitate toward each other so they can achieve their own personal aims. Meanwhile, cops Darren Tong (Kwok) and Alex Cheung (Wang) are part of an elite squad who are determined to stop the gangsters and the drugs they import. These guys will stop at nothing, and they’re constantly doing crazy stunts to stop the baddies. When they’re transferred to Lung Cheng, their contact is Sheriff Lin (Chun), who resembles a Chinese Joe Mantegna. But the real question is: who is the mysterious and beautiful Norika (Fujiwara)? Where do her allegiances lie? So sets the stage for the ultimate showdown between cops and criminals. What will happen? 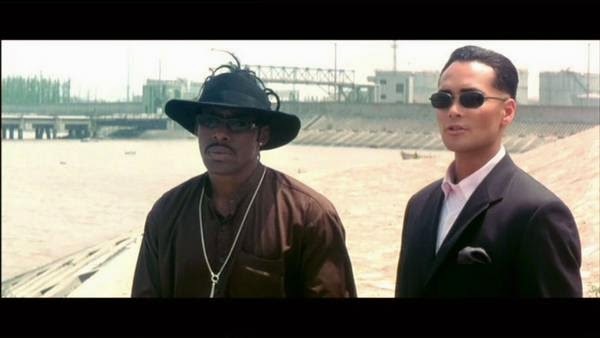 Perhaps the question foremost in the minds of viewers of China Strike Force is: why...WHY is Coolio of all people involved in a Hong Kong action film? And why is his name in the film Coolio? It would have made so much more sense for his character to have a different name, because there is dialogue such as (and I’m paraphrasing here): “Coolio killed my partner two years ago!” Do they mean Coolio or...Coolio? And lets also keep in mind he has a fedora-style hat with no top, so his bizarre, plant-like hair can sprout out the top of the hat. Words can’t describe how silly this looks. But in all seriousness, he and Mark Dacascos have good chemistry together, and for American audiences like us, they are the two “names” in the cast, so we already have a sort of recognition factor with them. While Coolio’s stereotypical chattering can get irritating, it makes you wonder why this didn’t become a three-part series like Rush Hour. 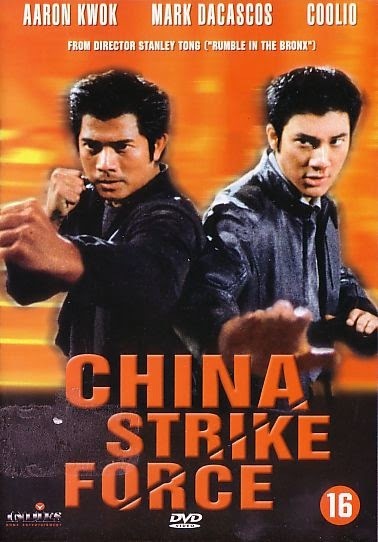 Seeing as China Strike Force is light in the character and plot development departments, it makes up for it with stunt work and Martial Arts fights. The stunts stand out as being particularly impressive, especially the car chases. But it’s not really enough to keep a 90 minute film afloat, so there is definitely some filler. But it should be noted that American movies have either a Black Yelling Chief (BYC) or a White Yelling Chief (WYC) at the precinct, but here, in a wild twist, is a CYC, or Chinese Yelling Chief. But the movie as a whole has a huge American influence, as best indicated by its numerous Arnold Schwarzenegger references. And of course the presence of the one and only Coolio, who - though you have to wait quite a while for it - gets to do some Coolio-Fu on his opponents. And in an (unintentionally?) “Meta” sequence, we find out Coolio is played by Coolio, while Coolio music plays on the soundtrack. We believe the official mathematical term for that is Coolio Cubed. In the end, China Strike Force isn’t really the most consequential movie out there, but it makes for a decently entertaining one-time watch, thanks to the obvious care that went into the stunt work.